When your older adult can’t safely live on their own, you’ll need to consider different senior housing options. A granny pod is a small modular home installed in your backyard for an aging relative. The concept and nickname started in Australia in the 1970s. The idea is that these small homes allow older adults to stay connected with family and get needed assistance. But they also give both seniors and adult children privacy and their own space. We found a few U.S. companies that make these homes: MEDCottage, FabCab, and Inspired Independence. They’re pre-fabricated structures that can be put together faster and cost less than building a house from scratch. The small home is hooked up to the main home’s existing sewer, water, and power lines. To install one of these homes in your backyard, you’ll need enough space and have local zoning laws that permit these structures on your property. MEDCottage’s units are unique because they’re specifically designed to house older adults who need care. A granny pod is a good option if you and your older adult would like to live close together or in the same house, but it’s not possible. This is a way to get the best of both worlds. You’d like to be very close by and see each other frequently, but don’t want to be in the same house. 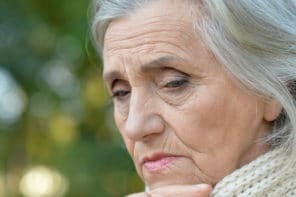 Your senior is still fairly independent and still wants to live on their own, but you both feel better if you’re close enough to help when needed. There isn’t enough room for your senior. Living under one roof would be too stressful for everyone involved. They’d have no choice but to climb stairs to access the bathroom or their bedroom. It’s not possible to make updates for necessities like a wheelchair ramp, grab bars, railings, or wheelchair accessible bathroom. Your home can’t accommodate the equipment they need — for example, a lift system or hospital bed. Some older adults enjoy interacting with people and having a community around them. A backyard home could be too quiet and have too few visitors, potentially causing depression or social isolation. Those seniors would have better quality of life in assisted living where they could participate in group activities and interact with other residents and staff. Another reason not to consider a granny pod is if your older adult requires more care than you or in-home caregivers can safely provide. MEDCottage homes cost from $40,000 to $60,000, depending on size. Inspired Independence homes cost from $150,000 to $175,00, depending on size and floorplan. FabCab pricing and building process seem more complex, so if you’re interested in one of these it’s best to get in touch with the company for more information. On top of the cost of the home itself, you’ll also need to factor in the cost of building permits and professional installation. How does the granny pod cost compare to assisted living or nursing homes? Cost is a big consideration when looking for assisted living alternatives. You’ll have to evaluate the costs specific to your situation and location, but here’s a rough comparison. According to Genworth, in 2016 the average cost of assisted living across the U.S. is $43,536 for one year. For a shared room in a nursing home it would cost $82,128. Exact costs will vary by location. That means in some areas, for roughly the price of one year of assisted living, you could buy a MEDCottage that would last many years. 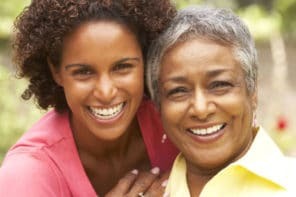 If this type of caregiving lifestyle works for you, it could save money that could be used for adult day programs, in-home caregivers, or other helpful services. Installing a granny pod in your backyard might be a good choice for some older adults and their families. If this sounds like something that could work for your situation, consider the local zoning laws, compare costs, and think about lifestyle tradeoffs before making a decision. 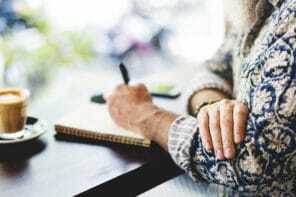 — What is a Residential Care Home?